Today will be Part One of an informative 3-part series discussing the powerful practice of Yoga Nidra. So, lets start with the question I'm most commonly asked. 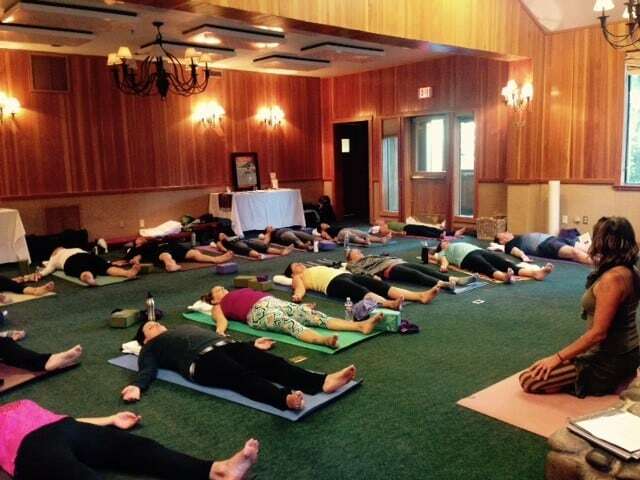 What is Yoga Nidra? In a nutshell, Yoga Nidra is a deeply relaxing, healing and empowering form of guided meditation, done lying down. No yoga experience is needed for this deeply enriching practice. The word Nidra means sleep, however it is far from the unconscious, "checked out" version of sleep you might think of normally. On the contrary, Yoga Nidra is actually a state of consciousness in which the practitioner is deeply relaxed, nearing sleep, yet remains awake and aware. In this state, our brains go into Theta brain wave patterns which define a deep meditation, dreaming, and the access point to the subconscious. The subconscious governs nearly 95% of our habits, patterns, behavior etc. However, in Yoga Nidra we also maintain some Alpha brainwaves which define light meditation or consciousness. By bringing this two states together, we can begin to tap into our subconscious patterning that may serves us poorly, bring it into consciousness, and unwind it. These are powerful tools for changing and recognizing subconscious patterning, and to continue our mental growth. Secondarily, in Yoga Nidra, we tap into the parasympathetic response, or the rest/digest/heal part of our nervous system. This is opposed to the more common fight/flight/freeze response which we spend the majority of our lives. This state allows us to maximize our ability to process, heal, and rejuvenate so that we can live a more joyful and vibrant life . So, how is Yoga Nidra different from regular relaxation? We will discuss that in detail at the festival workshop but I'll mention one major differentiating factor today. Sankalpa. Yoga Nidra works with something called Sankalpa or Heartful Intention. Working with this allows us to consciously create the lives we want. To consciously create the healthiest, happiest lives we desire. Who doesn't want that?! 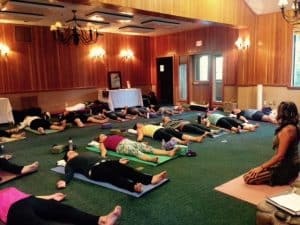 I hope you can myself and co-teacher, Ashley Cooper, this May for our Yoga Nidra Workshop at the Restorative Arts and Yoga Festival, May 19-21, 2017. Thanks for joining me today! Lauri Glenn is a yoga instructor and massage therapist as well as an avid outdoor enthusiast in the Tahoe region. She will be one of our workshop leaders at the upcoming Restorative Arts and Yoga Festival this May. Learn more about Lauri and her practice here. Click here to learn more about the Restorative Arts and Yoga Festival.